If your business is a sole proprietorship, or if you’re self employed, you must complete a Schedule C tax form each year as part of your tax filing process. The IRS Schedule C is used to determine the taxable profit in your business during the tax year. You then report this profit on your personal 1040 Form and calculate the taxes due from there. 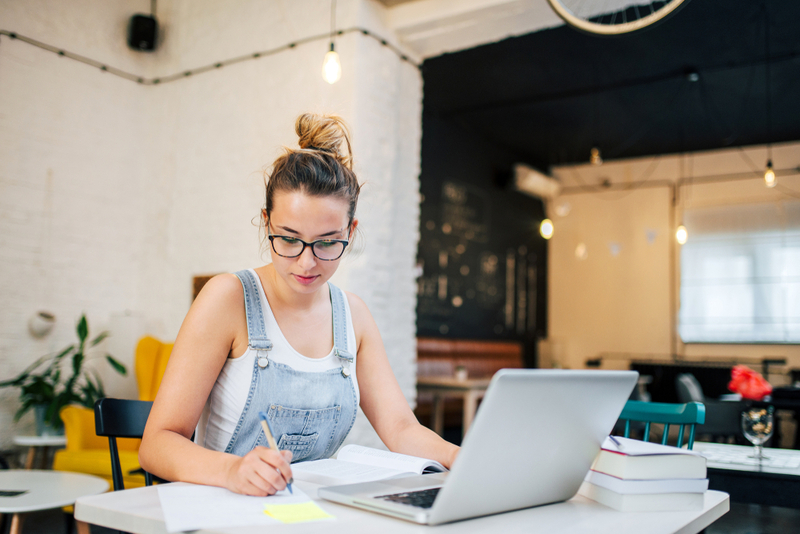 Although the Schedule C form is one of the easier tax forms to understand and complete, you might find completing it for the first time a little daunting. 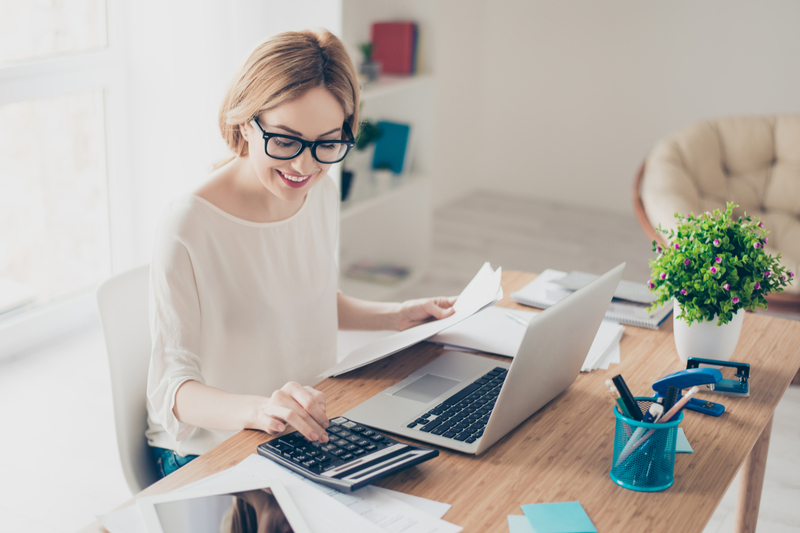 Even if you use the services of a tax professional, you still need to understand how to complete Schedule C to ensure the accuracy of your tax filing information. The IRS provides detailed, line-by-line instructions for completing the Schedule C tax form, so we won’t duplicate that here. But that’s not always the most helpful for everyone, so what we’ve outlined here is a step-by-step walkthrough of Schedule C instructions, written in plain English. The IRS’s instructions for Schedule C.
Your employer ID number (EIN). Profit and loss statement for the tax year. Inventory count and valuation as of the end of the tax year. 1. The IRS’s instructions for Schedule C. Even if the rest of the IRS Schedule C form looks straightforward enough that you don’t think you’ll need instructions, you’re still going to need the Principal Business or Professional Activity code for your business. This is conveniently located within the IRS’s instructions. 2. Your employer identification number (EIN). If you have a separate EIN for your business, you must include it on your Schedule C. If you haven’t memorized your EIN, you can find it on your Form SS-4 notice. 4. Inventory count and valuation as of the end of the tax year. If you sell items in your business, you need to determine the cost of the goods you sold during the tax year. Conduct an annual physical inventory in your business to validate the information in your point of sale or other inventory management software before completing your IRS Schedule C.
5. Mileage records. If you use your personal vehicle for your business, you must keep mileage records to deduct the expenses for the business use of your vehicle. Avoid the temptation to “estimate” your mileage. There are a number of good smartphone apps you can use to track your mileage, or you can keep a paper mileage log. If you have the information above complied, completed, and ready, then you’re set to move on to completing the your Schedule C tax form. You can find a fillable PDF of the form on the IRS’s website or you can use tax preparation software to complete your IRS Schedule C. Whichever approach you choose, your Schedule C form will look the same—and all of these steps apply. Your name: Your name will be entered in the “Name of proprietor” field. Your social security number: Since the profit on Line 31 carries over to your Form 1040, you must enter your SSN on Schedule C, even if you also have an EIN. Lines A and B: These fields identify your type of business or business activity. You only need to include a very brief description on Line A, and the code needed for Line B is included in the IRS’s instructions for Schedule C.
Lines C, D, and E: Enter your business’s name, EIN, and address. Line F: Identify your tax accounting method. Most small businesses use the cash accounting method. Once you choose your tax accounting method, you must continue using the same method unless you file Form 3115 to change it. Line G: A quick rule of thumb is if you work in your business, you materially participate in it and need to check the Yes box on this line. If you aren’t sure if you materially participate in your business, consult with an accountant. Line H: You’ll only check this on the very first IRS Schedule C you complete for your business. This line lets the IRS know this is your first year in business. Lines I and J: If you paid subcontractors for work they did in your business, or if you paid individuals for other services, you may need to file Form 1099 for the payments you made to them if you paid them at least $600 during the tax year. If you check Yes on Line I, then you also need to check Yes on Line J… and file the Form(s) 1099 required. The Schedule C instructions for Part I is to report the income in your business. It’s also where you calculate your gross profit and your gross income. Lines 1, 2, and 3: Report your total income, before deductions for returns and refunds, on Line 1. This amount does not include any sales taxes you collected. Any refunds you gave to your customers are reported on Line 2, and then Line 3 is the difference between your total income and any refunds given to customers. Lines 4 and 5: If you sell products or have non-employee labor costs, skip these lines for now and come back to them after you’ve calculated your cost of goods sold in Part III. If you don’t sell products or have subcontracted labor costs, enter a “0” on Line 4 and enter the Line 3 total on Line 5. Line 6: Report any income that does not come from your normal business operations. This is often listed as “Other Income” on your P&L statement. Line 7 is the sum of Lines 5 and 6. This is your gross income. Your business expenses reduce the profit in your business, and—with regard to taxes—less profit is desirable because it means a lower tax liability. This does not mean you should incur unnecessary expenses just to avoid paying taxes. You ultimately want a profitable business, but, as you follow these Schedule C instructions, be sure you are capturing all your qualified business expenses on your IRS Schedule C tax form. Most of the fields in Part II are self-explanatory, and you can pull the numbers you need from your Profit and Loss statement. Most business owners will have expense categories on their P&L that don’t directly tie to any one of Lines 8 – 27a. You can use Part V of Schedule C to capture these expenses. Line 9: If you use your personal vehicle in your business, you have a choice to either use the actual expenses for business use of your vehicle or take a mileage deduction. Most taxpayers find it more advantageous to take the mileage deduction. Whichever method you choose, you must complete Part IV of Schedule C and have written evidence or receipts to support the deduction. Line 11: This is used to report contract labor. This does not include wages you pay to employees (Line 26) or the cost of labor reported as cost of goods on Line 37. Line 13: If you purchase buildings, equipment, furniture, or other fixed assets in your business, you typically cannot deduct the full cost of the purchase in one year. Instead, you must depreciate the asset over a number of years and only report that year’s depreciation deduction on Line 13. We strongly recommend using the services of an accountant or other tax professional if you must calculate depreciation. Line 18: This is used only for office supplies and postage. Other office expenses can be listed in Part V. The total from Line 48 in Part V is reported on Line 27a. Line 24b: In most cases, you can only deduct 50% of the meals and entertainment expenses for your business. The meals or entertainment must have a specific business purpose. You must keep documentation of the business nature of the expense, as well as the name of the client or potential client you entertained, to support your meals and entertainment expenses. More information on what is—and is not—deductible is included in the IRS’s instructions for Schedule C, referenced above. Line 28 is the sum of all your expenses on Lines 8 through 27a. This amount should be very close to the total expenses on your profit and loss statement, with an allowance made for the 50% of your meals and entertainment expenses which is not tax deductible. Line 30: If you have a home office, you can deduct a portion of your household expenses on Line 30. To do this, you can either complete Form 8829 or use the simplified method right on Schedule C. The IRS has very specific rules about what constitutes as a home office, so read pages C-9 through C-13 of the Schedule C instructions carefully. Line 31: After you’ve completed all parts of Schedule C and double checked your entries, you’re ready to calculate your net profit or loss. Most taxpayers will report the amount on this line—whether positive or negative—on Form 1040, Line 12. Certain exceptions apply if your income comes from estates or trusts, or if not all your investment is at risk. Talk to an accountant or a tax professional if this applies to you. Hang in there… we’re almost done! You’ll use Part III of the Schedule C tax form if you sell products or use subcontractors to generate income in your business. Most of the lines in Part III are straightforward. You can pull the amounts required directly from your P&L or point of sale system, or make a simple calculation to arrive at the necessary subtotals. When following these Schedule C instructions, make sure you don’t include any expenses included in Part II. Line 33 warrants a little additional explanation. On this line, you will state your inventory valuation method. Most small businesses use the “Cost” inventory valuation method, as it is the least complicated. If you’re using the cash method of accounting—as most taxpayers do—then you must use the cost method. If you’re claiming vehicle expenses on Line 9, you have to complete Part IV of Schedule C.
This is where you’ll use the mileage records mentioned earlier in this article. Again, don’t be tempted to estimate or guess at this information. In the event of an audit, you’ll be required to provide evidence your vehicle expense deduction is valid, so keep your mileage records in a safe place. Part V is the section of Schedule C used to capture the expenses you didn’t report on Lines 8 through 26 or Line 30. Remember, you are allowed by law to deduct all legitimate business expenses from your income to reduce your taxable profit. Don’t skip an expense just because it doesn’t have a specific line number in Part II. List the expense in Part V, and the enter the total of all lines in Part V on Line 27a. Your IRS Schedule C Tax Form Is Now Complete! Whew! If you’ve effectively followed these Schedule C instructions, your IRS Schedule C form should now be complete. 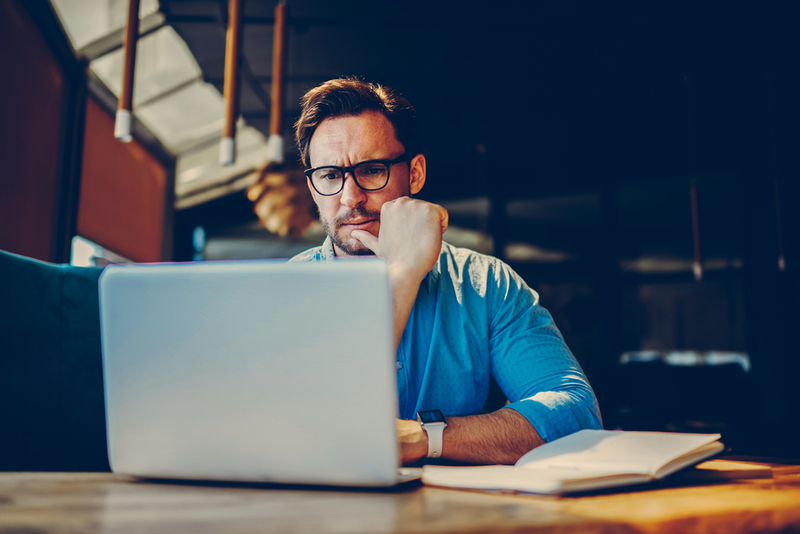 Before you enter the profit or loss on Line 31 onto your Form 1040, take a few minutes to review your IRS Schedule C and double check your calculations one more time. Or, if your accountant has prepared your tax return for you, compare your IRS Schedule C with your P&L for the tax year. Your accountant will be happy to answer any questions you have, so you can be sure you’re filing the most accurate tax return you can.